Food allergies, once considered rare, are now believed to affect 2 1/2 million American children. Foods that most often cause allergic reactions include milk, peanuts, eggs, tree nuts, wheat, fish shellfish, and soy. These foods are believed to cause at least 30,000 emergency room visits each year. One in five children with food allergies will have a reaction while in school. Peanuts are the most common cause of reactions in the elementary school setting. 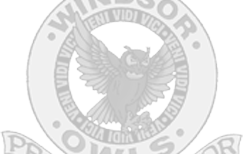 In the interest of providing a safe and healthy environment, the Windsor C-1 School District has adopted a new policy effective for all schools, K-12, on food consumption during the school day. Some medical conditions and allergic reactions to food ingredients pose a serious risk to student safety. This risk is typically where food ingredients are unknown or where appropriate food preparation conditions cannot be controlled. Consequently, only prepackaged foods with nutritional labeling may be brought to school for student consumption. Home-prepared foods are not permitted or sold to students during the school day. This policy does not pertain to students’ individual lunches and/or snacks brought from home for personal consumption. With the Valentine Day parties just around the corner, please keep in mind those students with allergies, etc. and send in only manufactured products with a label. Remember, that 50% needs to be considered healthy snacks as well. Thank you for your participation in reinforcing healthy choices for our students at school and at home.